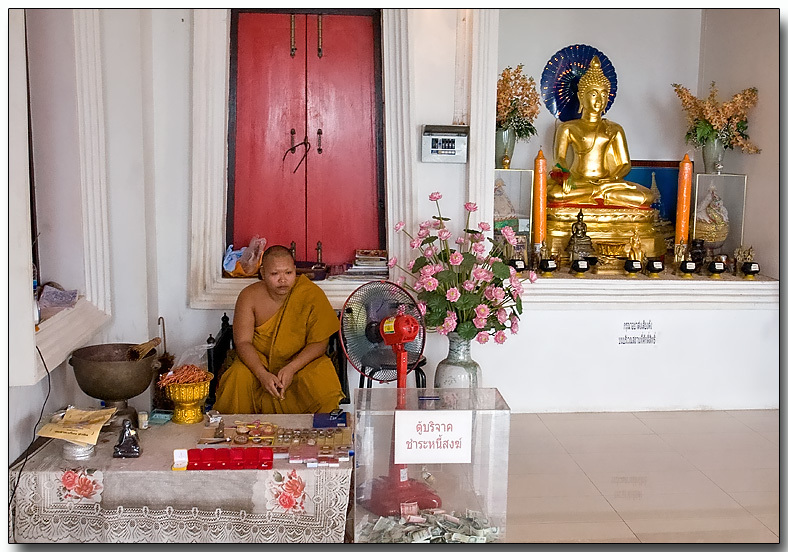 Wat Khao Takiab is a relatively small temple, situated on the top of a hill that overlooks the bay. In early 2007, the anti-scamming group I belong to, http://thescambaiter.com, lost a dear friend and contributor known as ThaiBites. He was an English Civil Engineer, having worked in Asia and the Middle East all of his career. He lived in North East Thailand with his wife, family and extended family. Gary was a long-time contributor to his local community, teaching English and helping in other areas. He made significant contributions to reduce world wide scamming and thievery. The ScamBaiter members supported Wat Khao Takiab in remembrance of our lost friend and colleague. Gary, you will live on in our thoughts and deeds my friend. You will not be forgotten.